The PING Gold Putter Vault is created to recognize PING putter wins by tour pros. 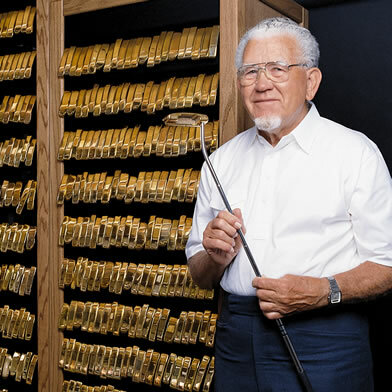 For every tour win with a PING putter, two gold-plated replicas of the winning model are made. One is given to the tournament champion, the other is placed in the vault.